Huge congratulations to Katherine and Matthew who were married in a beautiful church service and celebrated with their family and friends at The Lawn, Rochford. 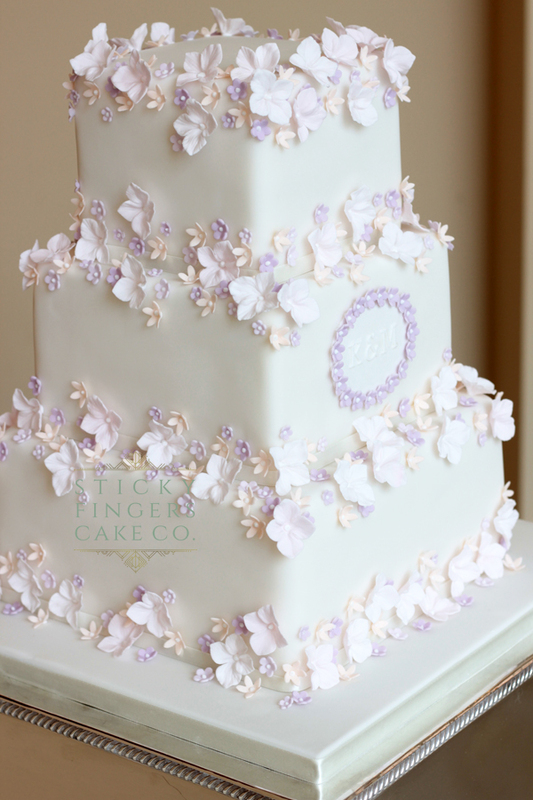 They chose to have a version of our “Lou-Lou” wedding cake – a three tier square design with pretty soft pastel blossoms and their initials embossed on a sugar plaque. Yummy flavours of Victoria Sponge, Traditional lemon and Cookies and Cream. Wishing you lots of love and happiness for the future!